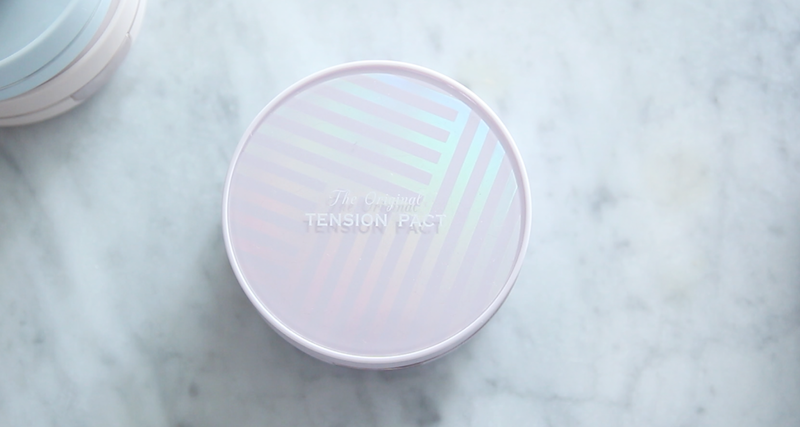 If you remember Missha's M Cream Tension Pact, you're a true OG fan of Missha right there! 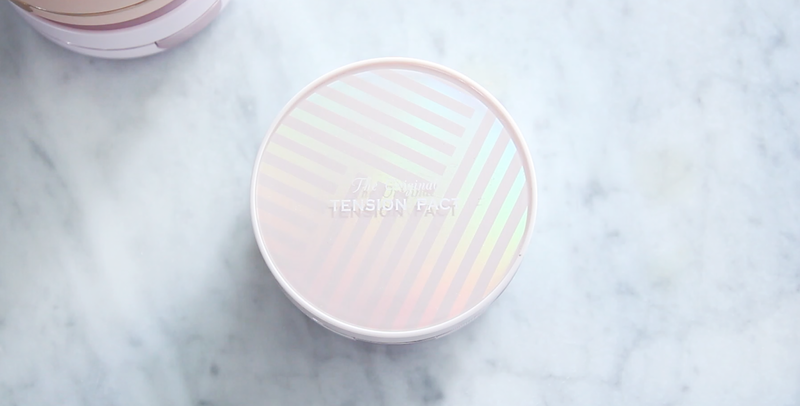 They discontinued its old version and recently re-released it to Missha The Original Tension Pact. But this time, with four different types! I know it could be quite overwhelming with all of the options we're given, so I'm here to break down each one of the versions for you. Before we get into all the details about each version, let's talk about the product itself first. Despite the fact it's not a cushion, the package is exactly the same as any other cushion cases we see. Compact and travel-friendly packaging that comes with an applicator that's like an air-puff. If you open up the inner lid, you'll notice why this is NOT A CUSHION. This is what really differentiates the product. 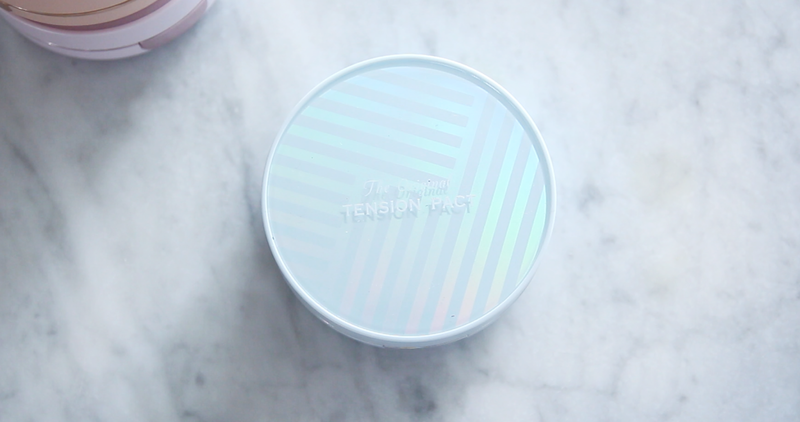 It has a mesh screen on top of the product hence the name, TENSION PACT! Yes, we've seen similar products like this from Clio Stamping Cushion, Tony Moly CC Cushion etc. But none of them above really managed to impress anyone, in fact people were complaining about it. However, Missha did it well, like so well. The mesh screen is so finely woven which allows the product to evenly on the applicator. The net is so flexible yet quite firm enough to not let the product to squirt too much at a time. And I love how I have a full control on dabbing the right amount I need at a time. 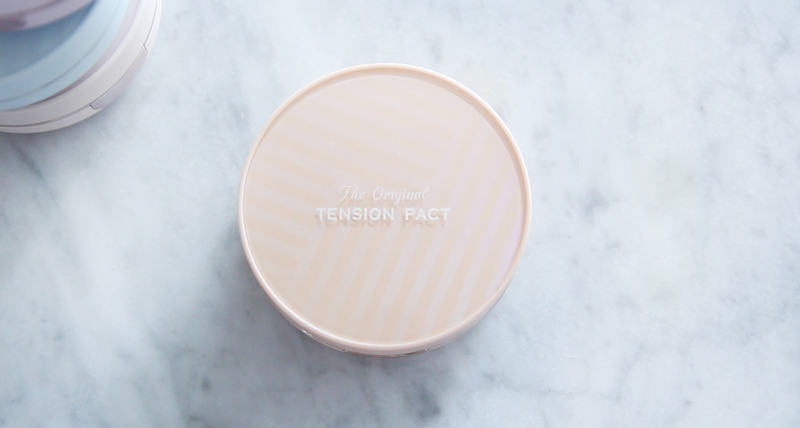 The application is the most fun part with this the Missha The Original Tension Pact. After you dab the applicator on the net, you simply stamp it on your face and blend it out. I recommend to start with one sheer layer and build up the coverage. All of the four types sticks to your skin like a magnet. You need to know this product contains a cream foundation underneath the filter, unlike a usual cushion which holds liquid foundation. 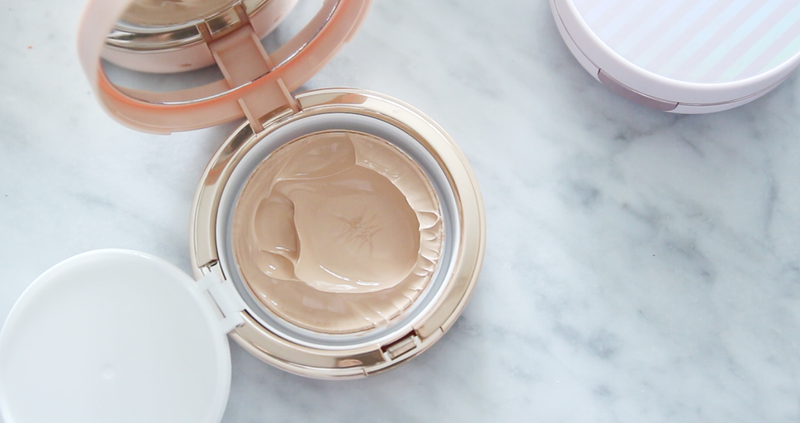 Meaning that if you're a fan of cream foundations, Missha The Original Tension Pact serves you right. I would say tt took away all the pros from the traditional cream foundation and solved all the inconvenience we experienced with it. It offers a velvety smooth, porcelain like finish that almost looks professionally done. Also the cream texture happens to adhere better to your skin like it's your second skin. And the longevity is way longer than any other liquid foundations. TRY THIS! It definitely made applying cream foundation way easier for makeup beginners. And without using any fancy makeup brushes, you simply need to stamp it and blend it with the puff. Every four types come in 3 different shades. Shade 13, 21 and 23.
so I recommend you to choose a shade darker to get a natural match to your skin tone. I'm around MAC NC30 at the moment and the Missha's darkest shade 23 still is A LOT brighter! Now let's break down each product types and see how it's different from each other. This is the most popular version out of the four. The coverage is to the extreme level high that it almost feel like it's opaque which reminds me of MARC JACOBS Remarcable Foundation. You won't need any concealer but I would say it doesn't look that natural on the skin. Since it's too pigmented, it seems to make your face look quite....flat. So I recommend you to add some contouring, highlighting to give some dimension to your face after!! Intense Moisture version is supposed to offer a glowy, dewy finish. It does offer a natural dew on the skin but not too the extreme which I like. but it certainly has that refreshing/cooling sensation as soon as you apply this. This does transfer so you might want to set it with a loose powder around the hairline. The coverage is medium to high. This is my favorite version out of the four Missha Tension Pacts! It definitely feels a lot lighter compared to the two above. but the coverage is still better than the average cushion foundations out there. It decently covers every imperfections but you might need to add concealer if you have severe dark circles, or an active pimple! 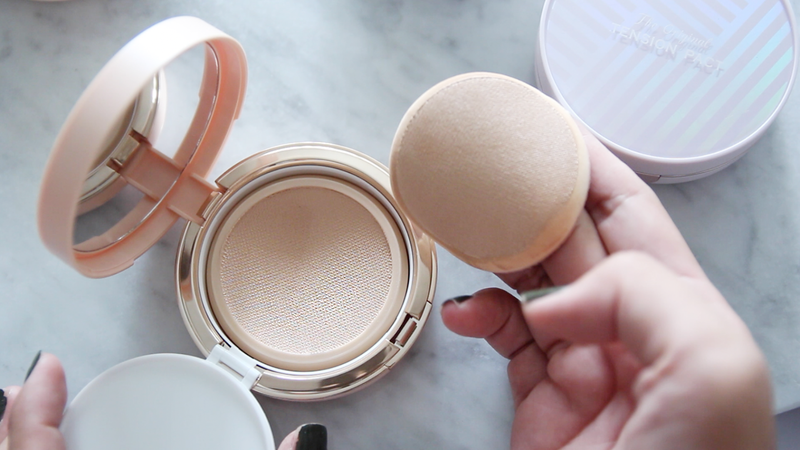 Overall, it's a great daily compact that sets down to semi-matte finish. A lot of people who tried this say it's very sheer. but know that it still manages to even out your complexion beautifully. I guess this is a product for who already has a good skin to begin with, or whoever that doesn't like wearing tons of makeup. The finish is quite natural! Overall I think it's a product that's worth to check out! Out of all the compacts/cushions that come with the mesh screen filter, Missha is definitely winning the game so far. The staying power is absolutely long and the coverage hardly fades throughout the day. The foundation doesn't even oxidize at all. Yeah, I mean it... AT ALL!! I would recommend you to start from a sheer layer with this to achieve a natural, light-weight feel. I was going to buy the new Etude House's Cream Filter one but now my mind is split over this and that! It was a lovely review to read! Very informative and the shots are wonderful. thank you very much for uploading this review!! I want to buy this. Does it have darkening effect? Graceful lily is a reputed online store that offers a selection of organic skin care products that protect and nurture your skin. Buy here now!